The ‘Baby Care Basics’ – Enter to WIN! Parenting is hard … plain and simple! Whether you are about to have your first baby or your third, those early days (that can stretch into weeks and months!) of parenting are a whirlwind of emotions, sleepless nights and questions (a lot of questions). And while we all have come to expect unconditional love to happen and exhaustion to reign supreme, what can take many a new parent by surprise is the constant question – “Am I doing this right”. While no one has the magic bullet to calm your fears of making the “wrong” decision, there are resources available that will help guide you through. One such book I highly recommend is Baby Care Basics by Dr. Jeremy Friedman and Dr. Natasha Saunders. Working full time at the Hospital for Sick Children in Toronto has given these two doctors the background and knowledge to write a comprehensive but easy to read (and understand!) book that covers topics new moms needs to know; from breast- and formula-feeding (with no judgement with which you choose), introducing solid food, treating your baby’s illnesses to sleep habits, playing with your baby and much more. Seriously, where was this book after I had my first!!!! Because, we all know despite all the planning in the world (and all the advice people will put upon you), nothing can quite prepare you for the big step from pregnancy to parenting. There is so much conflicting information available on the Internet, how can one be sure whom to trust? ​Containing a wealth of reliable information that will help parents make the right choices for their baby, The Baby Care Basics Book answers the questions every new parent has on a daily basis, providing practical, expert advice on everything you need to know from pregnancy through your baby’s first year. Let the book help you! Who Doesn’t Want a Personalized Gift #ISeeMe – Enter to WIN! I love books, my son … well … he loves when my husband and I read him books before bed (only), but during the day it is all about the iPad. Although he is playing with ‘mom approved’ apps, I still would love to sneak in an extra book or two daily. How about adding a twist on the regular ol’ book … a personalized book featuring your child from I See Me. I saw one of these custom books at a friends house and instantly knew I had to have one (big shock for me I know), so I had one made and the first thing out of my older son’s mouth when he got it was “WOOOO COOL, I am on the book!” and he asked if I could read it to him. I actually have never seen him get so excited over a book before. – The quality of the book is AMAZING! You can see just how personalized these books are and now you can understand how kids would get so excited by these books. In fact, these would make an amazing and unique gift for friends who are having another baby, a holiday gift or as a birthday gift. I always love to hear from other mom’s and dad’s, so if you have any great book recommendations, please post them below to share with others!!! I love making new friends, so pass this post along to any family members or friends with kids, neices or nephews. As I am sure you can now tell, I am huge fan of finding great apps for the iPad and iPhone. I truly believe that kids learn a lot from them and I have seen it first hand! When searching around for apps, I would usually pass on the book apps because I really thought Frankie wouldn’t be interested in them. I was mistaken! I was recently introduced to an interactive book app called Nedi the Yeti and I have to say this is a wonderful app for toddlers!!! Like the peek-a-boo apps I love so much, this is a peek-a-boo book where animals are hidden amongst the pages and your little one has to find them (don’t worry it’s easy – they stick out a little bit ;o), drag them out of their hidding spots and tap on them so that they make their fun noises while at the same time cute speech bubbles appear. I read this book to Frankie once and showed him how to move the animals and get them to make their noises and now everytime I read it to him, he knows exactly what to do. Clap Your Hands: Elmo in 3D, what more do I need to say 🙂 A puppet book where you clap Elmo’s hands with every page. I haven’t given this to Frankie yet, I am saving it for the plane but I can only imagine his reaction. I bought this book for my neice a few years back and she loved it. Bath Time by Sandra Boyton: Another fav that I know off by heart “hey hey what do you say, its time to take a bath today …” Frankie always hands me this book to read to him in the bath (2 or 3 times hence why I know the book off by heart). At the end the you squeeze the piggy’s nose and it makes a funny noise and Frankie kisses him. 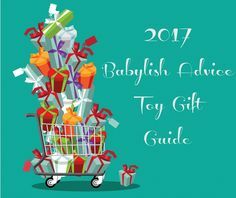 If anyone has any book recommendations, feel free to post them on my Babylish Advice Facebook page or comment below. I hope your kids love the suggestions.